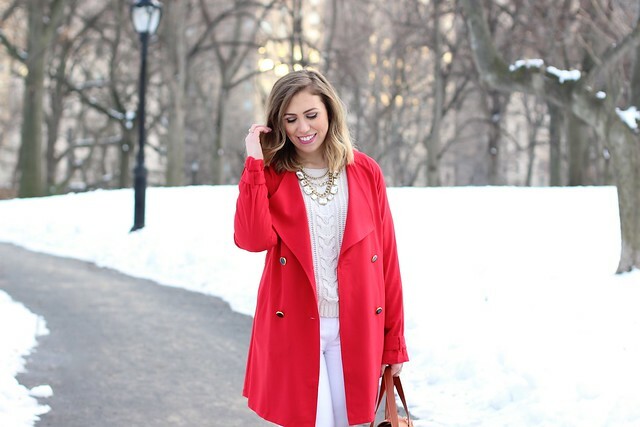 I’m kicking off Valentine’s Week with a Festive Outfit & a Giveaway!! 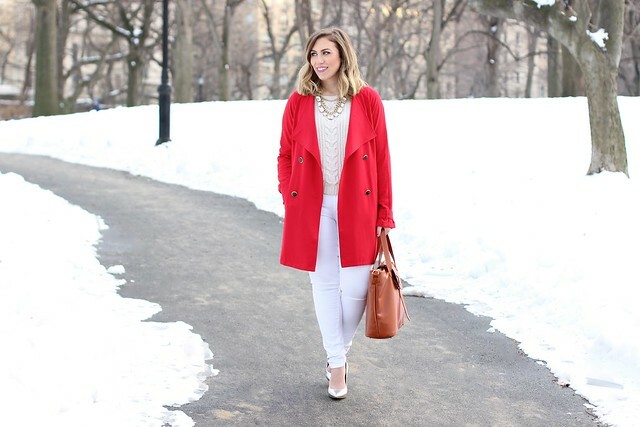 While I may be blending in with the snow in my Winter Whites, I’m standing out in my bold red trench from The Shopping Bag. Valentine’s Day is only a few short days away so of course I’m using it as an excuse to wear every piece of red (& pink) clothing in my wardrobe, even if it’s not necessarily weather appropriate. 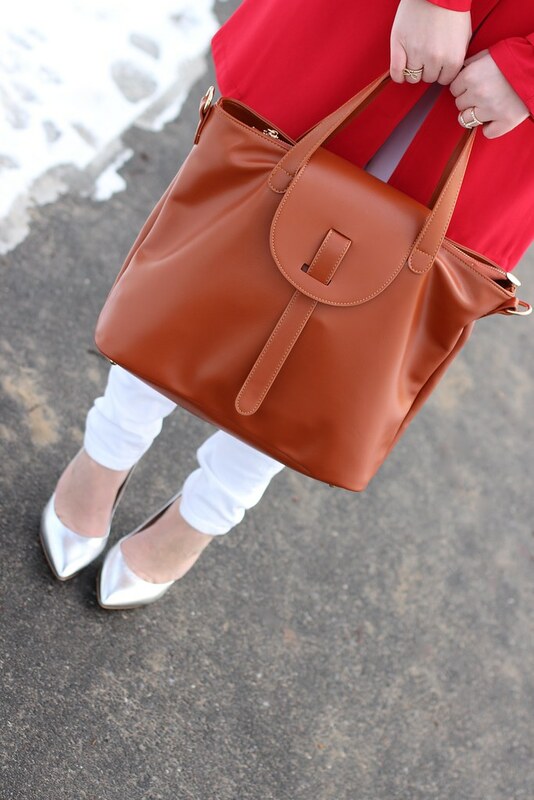 There’s no end of winter (or snow) in sight and I’m quickly growing sick of my uniform of black jeans, boots & over sized sweaters, so you can’t blame me for wanting to break out my Spring favorites a little earlier than I should. With a little bit of layering I’m making it work just fine! Onto more important matters…the giveaway! Whether you have a Valentine or not you’re definitely going to want to enter this one! Jewelry, Makeup & a Gift Card…what are you waiting for?!? Loving the White Roses in Silver Julep Cup Set. They are quite gorgeous and would look amazing in my office, living room and kitchen. I would love to get the http://shoptheshoppingbag.com/collections/bracelets/products/on-the-ropes-braided-bracelet. The bracelet is stunning. I'm over the moon for that lips clutch. It almost reminds me of a telephone my cousin had in the late 80's. Flashback to childhood! I love the Norah Drop Earrings! the rose crystal bib necklace is beautiful!